The Appellant arrived from Amsterdam and attempted to leave the airport through the non-EU customs exit. He was stopped and asked to submit his luggage for an examination, this revealed nothing untoward. He was told that the search was permitted under the Customs and Excise Management Act 1979 s.78(2) and records of searches were not kept, no records were accessible to him and no reason for his selection was given. The Appellant’s judicial review was unsuccessful and he appealed on the grounds that the power of stop and search could only be used if there was an objective necessity to stop and search the individual, and that proper reasons for the search should be given to the individual. The Court of Appeal found that since the test of “reasonable suspicion” had been removed by the Finance (No. 2) Act 1992 s.4, the clear intention of Parliament was to broaden the basis of stop and search powers. The word ‘necessary’, which remained in the statute, referred to the necessity of customs having a process of stopping and searching and did not require an assessment of the necessity of the search on an individual basis. The Court found that the Appellant could not provide a sensible meaning to ‘necessity’ but requiring an individualised assessment would be to put the bar higher than the “reasonable suspicion” test which had purposefully been removed. The Court also found that since there was no requirement for an individualised assessment of the necessity for the search, there was no requirement on customs officials to provide reasons for the search. 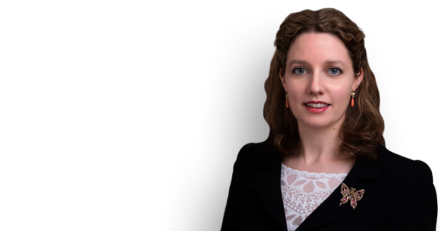 Update 05/09/18: Amelia Walker has been featured in today’s Times for the case of Karia v Secretary of State for the Home Department  EWCA Civ 1673. You can access the online article here or turn to page 49 to read more.